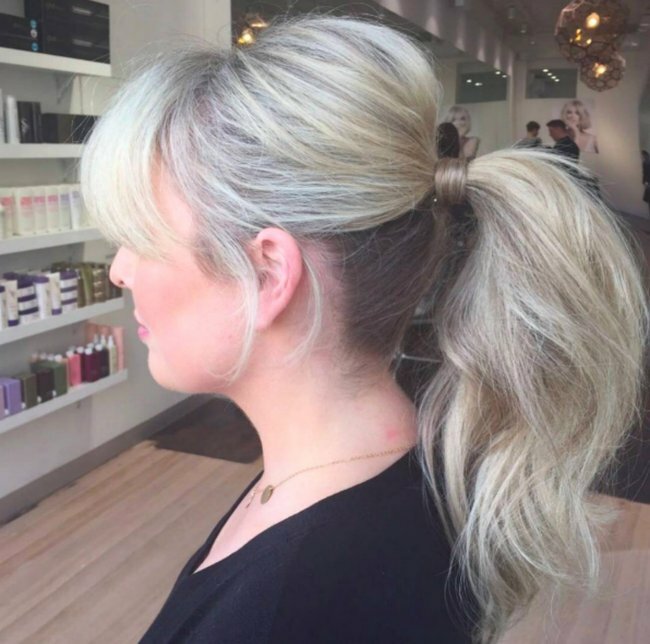 Celebrity hairstylist demonstrates easy voluminous ponytail tutorial. 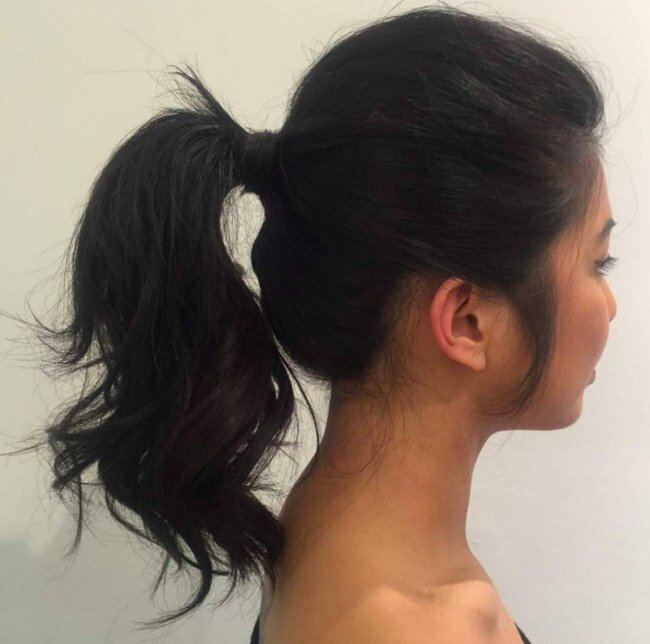 How to: The easiest way to achieve a voluminous pony. 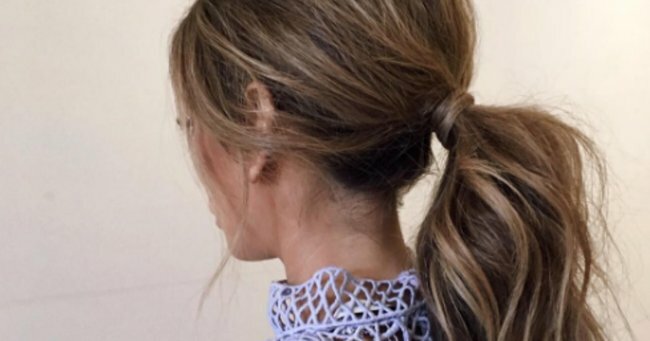 The humble ponytail has been given a major style upgrade. Yep, the staple style’s cool factor has gone up – literally. It’s all about volume, texture and the kind of effortless just-woke-up-like-this-mess that actually looks good. Basically, a hairstyle made for Instagram. Already one of the most popular looks for the Spring racing season, this is one ‘do that will carry you all the way through the endless weddings, Christmas and New Year party season ahead. We asked Philips HairCare Ambassador and international celebrity and bridal hairstylist Lizzie Liros to give us a foolproof guide to nailing the look as seen on the likes of Bec Judd and Nadia Bartel, no extensions needed. 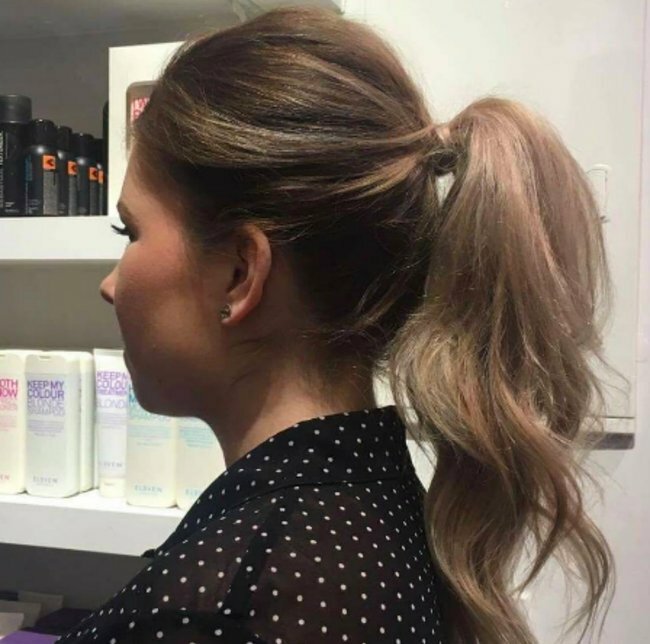 “Part hair in a centre part and starting about 10 centimetres back from the hairline, pull hair into a relatively high ponytail, leaving the fringe section out,” she says. “Before you tie the hair in place, pinch the hair at the crown of the hair and gently pull it out to create volume at the top of your hair,” she explains. Step 4: Protect your hair. This will minimise any damage to your hair from heat styling tools. “In small sections, curl the ponytail with a straightener like the Phillips MoistureProtect Straightener and allow to cool,” she says. This will give it the enviable wave effect. Finish off with a light spray of flexible hold hairspray to retain movement or a sleek shine serum.